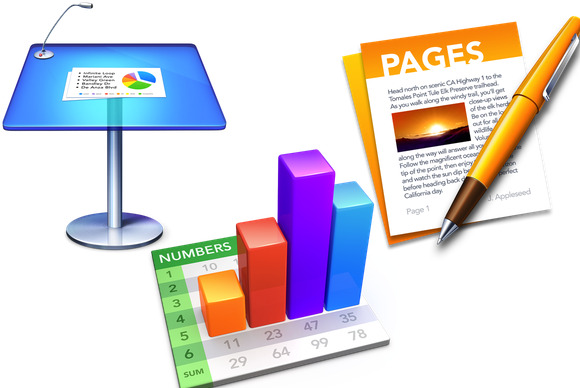 Apple's iWork apps—Pages, Keynote, and Numbers—aren't yet compatible with iOS 9's multitasking features for the iPad, which could mean trouble. You remember Bento? It was that little database program made by Apple-subsidiary FileMaker aimed at the consumer market, to Microsoft Access what Pages is to Word. But FileMaker’s attention languished over time, and Bento was discontinued back in 2013, much to the dismay of its fans and anybody looking for a simple database program. And now I’m a little worried that Pages, Numbers, and Keynote might follow suit. Here’s hoping the worry is totally unfounded, of course, but it first came up when, on a recent episode of the Clockwise podcast that Jason Snell and I host, friend and colleague Jeff Carlson pointed out that none of the apps formerly known as iWork had been updated to take advantage of the iPad productivity features on iOS 9. No Slideover, no Split View. Want to read a webpage and type something into Pages at the same time? You’re out of luck. All three apps did get updates when iOS 9 arrived, but only with undisclosed “stability improvements and bug fixes.” In addition to missing out on the new iPad features, they also didn’t receive support for any of iOS 9’s other significant features, like Spotlight integration or viewable keyboard shortcuts. It’s entirely possible, of course, that updates are forthcoming and that Apple merely didn’t have the resources to devote to significant changes to these apps what with all the other major releases that have come out in the past several weeks. To a certain extent, Apple’s productivity apps have always seemed to move on their own schedule. But then, deep down in the pit of my stomach, there’s that worry. Apple has had its own productivity apps, in some form or another, since the debut of the Mac—further back, actually, if you include the Apple II—and Pages, Numbers, and Keynote are only the latest iterations. Their raison d’être isn’t particularly sinister: Word processing, spreadsheets, and presentations are all core tasks for most users, so it behooves Apple to be able to put forth some “best in class” examples of those apps. While Microsoft may have been pretty good about maintaining support for its Office apps on the Mac over the past thirty years or so, updates have sometimes been sporadic and there hasn’t always been full parity between the Mac and Windows versions. So Apple, in the truest of Apple fashion, decided it would be smart to roll in its own solutions, designed after its own sensibilities. They haven’t always been a hit with users who favor function over form—sure, you can get way more power in a Word or Excel than you can in Pages or Numbers—but they do focus on a way of doing things that is inherently Apple-like. For lack of a better word, they’re tasteful. PowerPoint may be the industry standard for presentations, but I know plenty of people who would rather take a laser pointer to the eye than have to ditch Keynote for it. Those productivity apps kept Apple insulated, just as Safari and Mail did, preventing the company from having to rely on third parties for core functionality, just in case those other developers decided that supporting the Mac wasn’t in their interests anymore. But with the Mac still going strong—and PCs declining in sales every quarter—that fear seems a little less front-and-center these days. 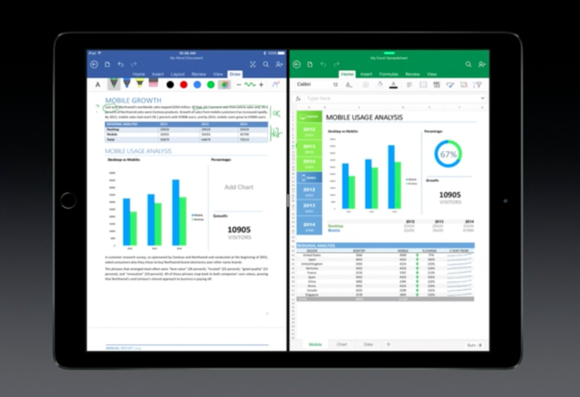 And Microsoft appears to be pretty comfortable producing versions of Office for both the Mac and iOS. So maybe the need for Pages, Keynote, and Numbers isn’t what it used to be. I think those apps are still needed, though. Not least of which because I don’t really see myself forking over $10 every month for an Office 365 subscription. For all of their shortcomings, I like Apple’s productivity apps, not only because they’re well designed, but because though they may not have every bell-and-whistle, they still let me get work done, whether it be writing, giving presentations, or tracking my finances. And the nice thing is that it’s perfectly possible to get by these days without Microsoft Office. Just as the PC market has been shrinking, Microsoft’s stranglehold over the productivity space has been dwindling. Yes, Word/Excel/PowerPoint are still business’s lingua franca, but it’s not like it was twenty years ago. Some of that is other apps’ ability to read and export to those formats, but a big part has been played by the Internet, too. These days, it’s just as easy—and sometimes easier—to send a Google Doc link, a PDF, or even just paste plaintext into an email than it is to send a Word doc. So, I’m choosing to hope that Pages, Numbers, and Keynote will be with us for a while yet—enough time, at least, for Apple to bring them up to date with the newest iOS and OS X improvements, and perhaps even venture into some new territory. But you know what? I still miss Bento.